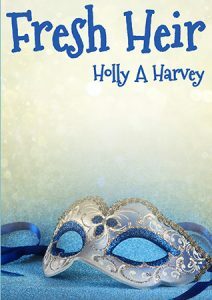 Welcome to the official website of the author Holly A. Harvey, writer of romantic comedy. I’ve been writing ever since I could hold a crayon (and, by all accounts, my primary school parents’ nights were very uncomfortable, as my poor parents had to reassure the teachers that the elaborate stories I wrote were certainly from my imagination). Suffering from M.E. from a young age meant that my social life was restricted and I became an avid reader and the characters in books became like friends to me: I wanted to create characters like those, for adults. I’ve had a varied career, dictated by the ups and downs of chronic illness, from working in a medical school to being a commis chef; from training to be a marine mammal medic to qualifying as a massage therapist. I decided that writing a novel would be a cathartic exercise and a good distraction for me, so I wrote a chapter… and promptly gave up on that idea. Then, in 2005, I was prompted (prompted, prodded, pushed – whatever) to enter that chapter in to a national competition seeking new writing talent. To my surprise, I was short-listed for the Undiscovered Authors competition and my first novel, Karma, was the winner for the North East region. I felt like somewhat of a fraud, since I’d never studied Creative Writing, so I joined a writing class and enrolled at The Open University. I quickly learned something important; I knew nothing about being a proper writer! 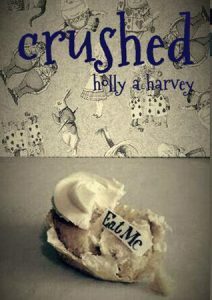 Undeterred, I wrote my second novel, Crushed, and found that I loved the characters, just as I’d loved those in the books I grew up with. I haven’t been able to leave them, so embarked on my first sequel, Fresh Heir. Aside from writing, I spend my time with my family in the North East of England, and am usually found surrounded by dogs. Lots of dogs. More dogs than you’d expect to see in a little house. And I’m usually on the sofa (in PJs), with a remote control in one hand and a cup of coffee or a piece of chocolate in the other. Oh and I also enjoy comedy, history, genealogy, cooking, art and I’m still an avid reader. I read far more than I write, which is why there aren’t as many books in my catalogue as there might be! I appreciate any feedback and welcome comments. Please feel free to contact me on Facebook or Twitter, I’d love to hear from you.